Will you be joining us at this year's Jacaranda FM and SPAR Carols by Candlelight? 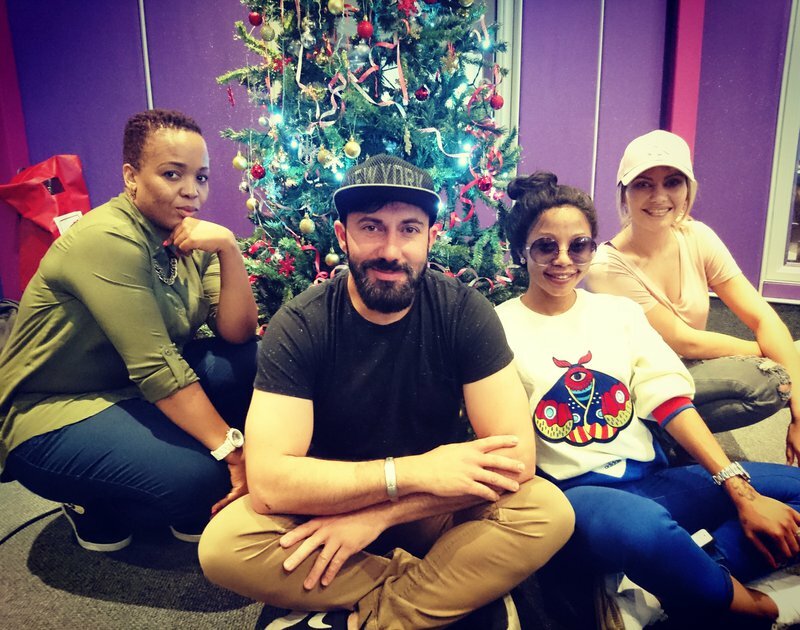 Martin and Tumi were joined by Charlize Berg and Kelly Khumalo for #FridayLive. The Jacaranda FM and SPAR Carols by Candlelight is just around the corner and we cannot wait to celebrate the festive season with all of you! Families, friends and some of the biggest musicians in the country all come together and sing popular Christmas carols under the starry sky. Both Johannesburg and Pretoria will be treated to an evening of festive wonder and song. Popular South African artists, Charlize Berg and Kelly Khumalo are on the bill and they joined Martin Bester and Tumi Morake for #FridayLive and give us a taste of what's to come. The two joined forces for an incredible rendition of the all-time classic, 'Silent Night'. It was breathtakingly beatiful! After making us all emotional, the two song birds took it up a notch and serenaded us all with a rendition of the Mariah Carey classic, 'All I Want For Christmas'. Make sure you join us for a magical evening of family fun as you spread the festive cheer at the Jacaranda FM and SPAR Carols by Candlelight. Take you pick of either joining us at the Pretoria or Johannesburg events, or better yet, join us for both!